65 years ago this past Friday, the United States and South Korea signed an armistice with the Peoples Republic of China and North Korea, ending the Korean War. 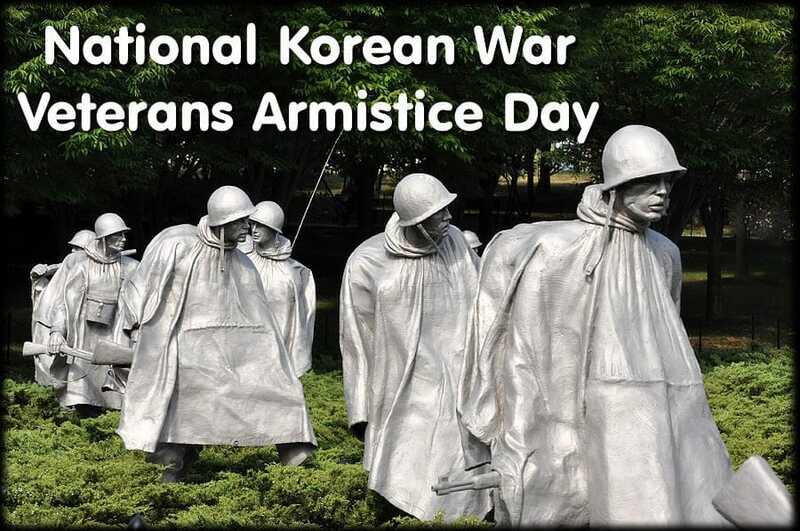 Millions of Koreans and Chinese lost their lives alongside 50,000 Americans. On Friday we remembered those war veterans, prisoners of war, and those killed in action by flying the flag at half-staff and continuing to share the stories that shaped our history. Ive said it before, and Ill say it again. Freedom isnt free. It is by the sacrifice of so many brave men and women that we enjoy the benefits of this great nation. We have an opportunity to take risks, improve our lives, and provide for our families. We can also count ourselves blessed by celebrating the successes of others. Over the past few weeks I have been doing just that, celebrating the successes in Northern Illinois. It was Ghandi who said, As human beings our greatness is not so much in being able to remake the world as in being able to remake ourselves. I definitely agree, and its a trait common to many of the places I visited last week with Erika Harold. Here are some more of them. Ron Lawfer was born on the Willow Valley Dairy Farm, a farm his father former Illinois State Representative I. Ron Lawfer started after returning home from his service in the Korean War. The younger Ron and his wife, Julie, have been married for 37 years. With their son John and his bride to be Elise, they have transformed what was a traditional dairy farm, where Ron remembers milking the cows right into the pail, into a state of the art robotic milking facility. Reliable labor was part of the Lawfers challenge. John, said, We knew we wanted to keep dairying. But trying to find reliable, physical labor to handle the milking became a struggle. So, we turned to robots and have had great success. The Lawfers herd has nearly doubled since they built a new fabric barn and installed Lely robotic milkers. The Lawfers currently have three milking robots handling 180 milking cows. They have gained approximately 15 pounds of milk per cow while improving the milks quality. And the robots do more than milk the cows. When a cow is milked by the robot, they get 120 pieces of information. Ron said, Its like the cow is getting a physical every time she goes through a robot. Another stop we made along the way was Lena Brewing Company. Many of you remember the old Purina Chicken Feed plant in Lena. When Gary & Sylvia Vehmeier and their family opened their restaurant, The Rafters, next to that plant, they dreamed of one day owning the property. A few short years ago, that dream became reality. They had a number of options, and chose to build a craft brewery using the same building. What began as an idea has turned into a brisk business that distributes Lena Brewing Company beers throughout Illinois and Southern Wisconsin. Garys son Ross is excited about the growth and expects to expand distribution into Indiana very soon. If youre from Freeport, you know the story of Union Dairy. Albert Hill and Conrad Kaiser were two dairy farmers who partnered up to sell their milk in 1914. By 1934 they were selling ice cream, and the Union Dairy legend was born. In 2004, Union Dairy was at a crossroads. They had been serving basic foods and felt they were beginning to lose business. The next year they made the decision to change a Freeport legend for the better and remodel their kitchen while changing their menu. They now serve fresh beef from Harbach Meats, and local cheeses from Springbrook Cheese Factory in Davis. They also serve Freeports own Mrs. Mikes brand of potato chips. The Norman C. Sleezer Youth Home is a facility tucked back behind Ciminos and the Super 8 off of East South Street in Freeport. Their mission is to provide residential and community-based therapeutic services that empower youth to become caring and productive individuals. Executive Director Cara Williams believes that their mission and the youth they serve are reasons why the state has been timely with funding. Of their many challenges, finding qualified staff is at the top of the list. Cara said they have made the decision not to expand services until they find people who are the best fit. Malcolm Eaton has been serving the Freeport area for 52 years. They quite literally help people with disabilities earn their own independent living. They do this through the Community Employment Program, which teaches job skills, and through Community Integrated Living Arrangements that became available in the 1990s. Our next stop of the day was Seaga Manufacturing. What started as a dream in Steve Chesneys garage in 1987 has become an international business spanning three continents and employing hundreds of people. Steves son, Andrew, said that part of their challenge is quality, because Seaga machines are so well built, they dont need to be replaced. As a result, Seagas expansion is through innovation. It was Edmund Lee who wrote, Surround yourself with the dreamers and the doers, the believers and thinkers, but most of all, surround yourself with those who see the greatness within you, even when you dont see it yourself. I am confident Northwest Illinois has many dreamers and doers, people who challenge the status quo, demanding better of themselves and through their efforts, make Northern Illinois a better place to live. My mission is to help them achieve their goals by bringing common sense solutions to Springfield. We need the right incentives, and the right job training, to help meet the needs of Northern Illinois families.